Please join the USC U.S.-China Institute for a book talk with author and leading China environmental expert Barbara Finamore as she examines China's role in the future of the global climate. Watch a video of the presentation here. With the United States backing away from commitments to address climate change, will China take the lead in saving our planet from environmental catastrophe? Many signs point to yes. China, the world's largest carbon emitter, is leading a global clean energy revolution, phasing out coal consumption and leading the development of a global system of green finance. Barbara Finamore is the Senior Strategic Director for Asia at the Natural Resources Defense Council (NRDC). She has nearly four decades of experience in environmental law and energy policy. In 1996, she founded NRDC's China Program, the first clean energy program to be launched by an international NGO. She also served as President and Chair of the Professional Association for China's Environment (PACE) and is the co-founder and President of the China-U.S. Energy Innovation Alliance. In 2017, Barbara was named a member of Foreign Policy's "The U.S.-China 50", a group of 50 individuals who are powering the world's most complex and consequential relationship. She holds a J.D. degree with honors from Harvard Law School. Get off at the Expo Park/USC stop for a short walk to campus. Click here for more information. 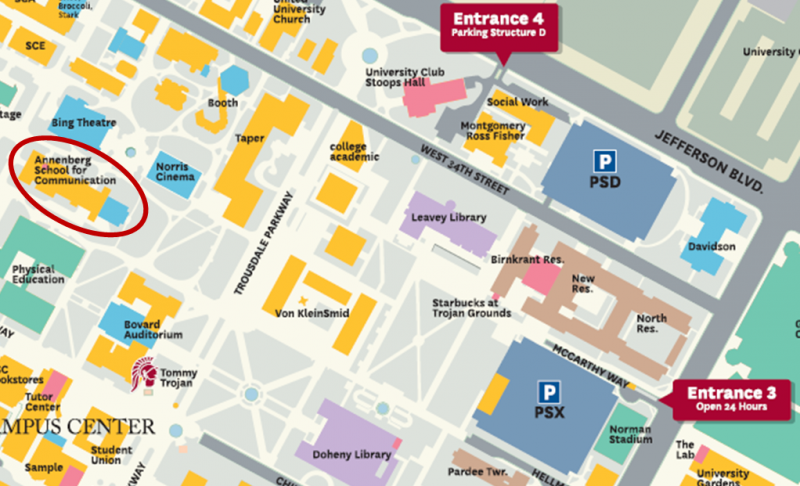 For maps and directions to campus, visit the University Park Campus Map & Driving Directions page.